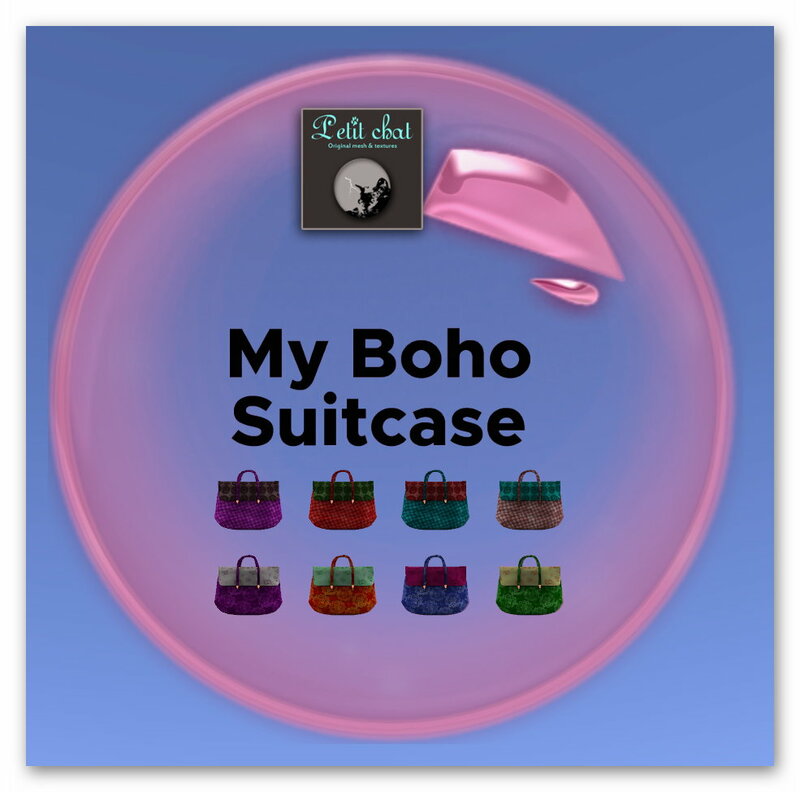 Petit Chat is having a new group gift for December and it is the My Briefcase Boho Edition. Using the HUD, you can choose from any of the 8 designs available. Since Kitty is in a Christmas outfit, let's try out a red version of the My Briefcase and it looks so natural almost as if this comes as part of the outfit! There is another version with a lighter red and it looks cool as well. Simple great especially for keep all your Xmas goodies! No reason not to have a bag to go along with your Xmas shipping this year! This is a free gift for the Petit Chat Group!